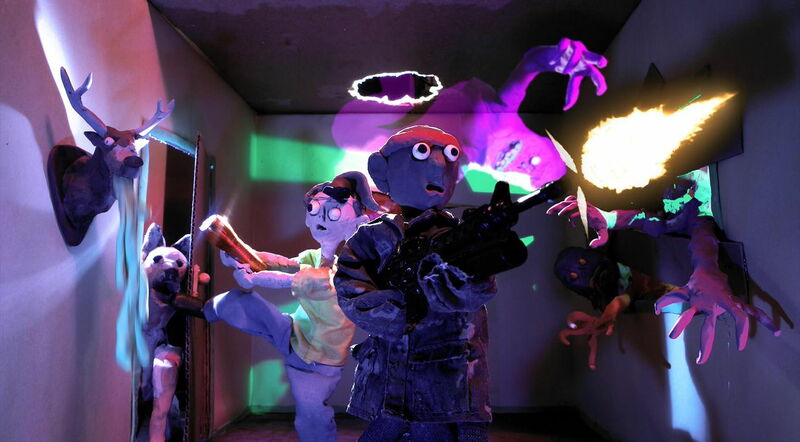 Today we’re joined by the ridiculously prolific filmmaker Lee Hardcastle who in his own understated but ever so true words, ‘makes claymations that are not for children’s eyes‘, the latest of which is Ghost Burger, an excellent sequel to his T is for Toilet segment from the ABCs of Death. Lee joins us for a long overdue chat about his career as a filmmaker and successful YouTube channel producer, and why he’ll never insult his audience with crap filmmaking. Two kids go hunting for ghosts to help their dad run a burger cafe. An epic sequel to “T is For Toilet [ABCs of Death]”, 12 years after the accident. It really is all about trying to mould a character out of yourself & presenting it on a screen for people to take or leave.